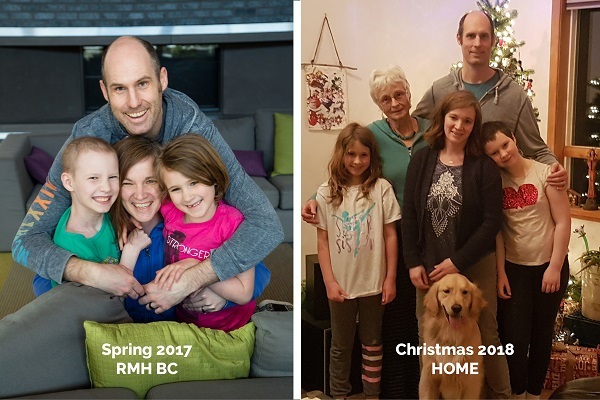 We first introduced you to Annabelle Edl and her family in June 2017, after they had spent 8 months at Ronald McDonald House, 9 hours away from their home in Nelson, BC. 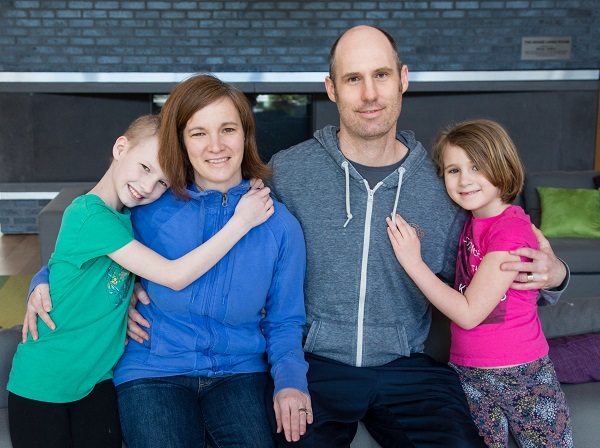 Annabelle, then 8 years old, was receiving intensive cancer treatment and her family found a home away from home at RMH BC. Read their full family story! Now that they are nearing the end of Annabelle’s 2.5 year course of treatment and settling back in to life in Nelson, we caught up with the Edl family to find out how they are doing. Annabelle is now 10 years old and in Grade 6. Her passion for drawing and painting that she exhibited so often in the craft room at RMH BC has only grown in the last two years. And after being around so many newborns and babies at the House, she was inspired to take (and recently passed) a babysitting course. Annabelle looks forward to her first babysitting jobs in the near future. Her sister, Cassidy, is 7 and still full of energy. She continues to enjoy building with LEGO, biking and running around with the family dog, Comet. She is also enjoying dance classes this year. The Edl family returns to Vancouver every 3 months for follow-up treatments and RMH BC still holds a special place in their hearts. “Being at RMH during this crazy time in our lives gave us much needed connections with people going through something similar and allowed us a bit of refuge in the storm,” says Cecilia. She and Annabelle’s dad Stephen continue to keep in contact with other families they met at RMH BC at least once a month and whenever they travel to Vancouver for checkups. Thanks to you, kids like Annabelle and their families have a home away from home. Donate today and keep a family like the Edls close.